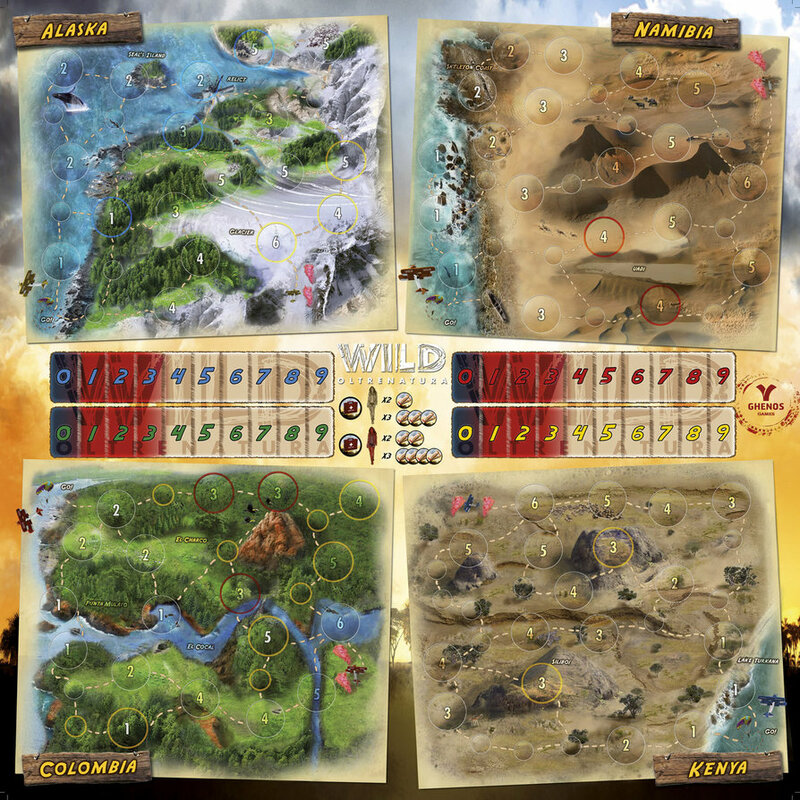 This is the board I painted for “Wild – the boardgame”, for the Ghenos Games publishing. It’s a game based on the official television show “Wild – Oltrenatura” (all rights are reserved by Ghenos and Mediaset). I had much fun in painting the various different savage ambients. I used a mix of matte painting and brushes for the various parts, while the scoreboard were first created in illustrator, and then “finished” in photoshop. There are several little details in the painting, I’m not leaving a 100% dimensions image here, but I’ve uploaded it big enough to see some of them I hope. If you are interested in the game, is a family game (bilingual: english and italian) about collecting animals and exploring savage natural regions of the world: Kenya, Namibia, Alaska and Columbia.